Originally published in 1953, this book discusses the Sukuma people who represent the largest ethnic group in Tanzania. 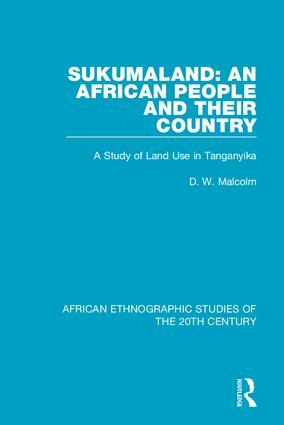 It is devoted mainly to the resources, use, problems and systems of tenure of the territory of Sukumaland, but also contains an account of Sukama social structure, organisation and functions of hereditary and elected authorities and of the religious aspects of landholding and cattle ownership. The book is supplemented by numerous diagrams and maps.